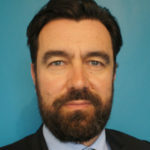 You are at:Home»News»CAVs»Big data: What issues do OEMs face when conducting on-road tests of connected and autonomous vehicles? David Renaud, head of data sciences, Assystem Technologies, explains how auto makers can harness big data to ensure the ability to store vast amounts of information during on-road testing. In recent years, digital transformation has had an enormous impact on capabilities in the automotive sector. The rapidly expanding Internet of Things (IoT) means that we are seeing more and more devices connected to the internet – and the automotive sector is no exception. The automotive industry faces a growing number of challenges and pressures, particularly in light of political and economic uncertainty. As a result, cost pressure, competition, globalization, market shifts and volatility are increasing. This is where big data comes into play. Alongside analytics, it can offer previously unthinkable possibilities for tackling these and many other challenges that OEMs face on a regular basis. Likewise, the concept of autonomous vehicles promises many benefits for future transportation but also brings significant challenges for OEMs, including ensuring the ability to store vast amounts of information during on-road testing. Big data is used to ensure continual refinement of autonomous algorithms during on-road testing, enabling autonomous vehicles to enhance efficiency and accuracy, which was not possible before. It can also facilitate the collection and processing of test data in such a way that it can be used to update entire vehicle models – thereby reducing the gap between reality and the perception of the vehicle. A data science algorithm has paved the way for automatic clustering of test data, anomaly detection, and classification of different types of scenarios. This has in turn reduced the workload and the delay for the validation that was impossible with traditional testing methods. Connectivity:The more granular the data that can be obtained during the testing, the greater both the potential applications and the challenge. OEMs have to couple-up this highly granular data with off-board connectivity to allow near real-time streaming of the data – if this is achieved, the results are limitless. Meta-data:The ability to capture meta-data (vehicle occupant intentions and the environment that the vehicle is in) is critical for extracting the next layer of intelligence. OEMs must master this technical challenge to realize the full capabilities of the data that they are collecting. Agility: With OEMs becoming more progressive and advanced in how they use big data for testing, the challenge will be to carry on building on their knowledge and technique. This requires an agile and iterative approach to capture transfer and store data, which can be at odds with the process-driven automotive environment. 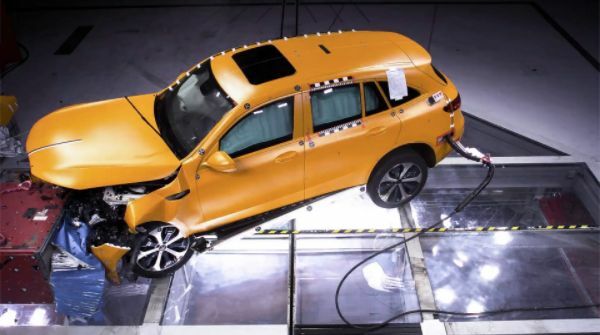 Warranting safety: With the level of complexity intrinsic in using big data algorithms for conducting on-road tests, OEMs face a major challenge in demonstrating safety features. Having worked with OEMs for more than 30 years, Assystem Technologies understands the challenges faced by businesses in using big data to conduct on-road tests for connected and autonomous vehicles. The Assystem Technologies team works closely with customers both to support them in growing internal capability as well as enabling them to outsource specific short-term improvements. The key to creating savings and warranting product improvement is tailoring well-established processes to individual customer requirements – this will ensure objectives are fast-tracked. OEMs must also learn from other industries, especially consumer electronics and web-based software development, where the ability to innovate rapidly is key to survival. New team structures that encourage and support innovation within OEMs will be key to the long-term success of big data initiatives. If utilized correctly, big data will prompt a step-change for the automotive industry. Rather than targeting single-digit improvements in efficiency, speed and cost reduction, OEMs in particular will be able to revolutionize their development process to achieve tenfold efficiency and cost improvements. The biggest change is going to be in how products are engineered and the way in which people work. Traditional engineering processes will continue to be augmented by big data as the industry looks to drive down costs in the product development lifecycle. Companies will start increasingly relying on big data-based solutions to steer important decisions. It’s vital that OEMs prepare for this evolution and benefit accordingly. To find out more about why autonomous vehicles developers are struggling to log and process test information on a global scale, read the big data cover story in the June 2018 issue of Automotive Testing Technology International now!